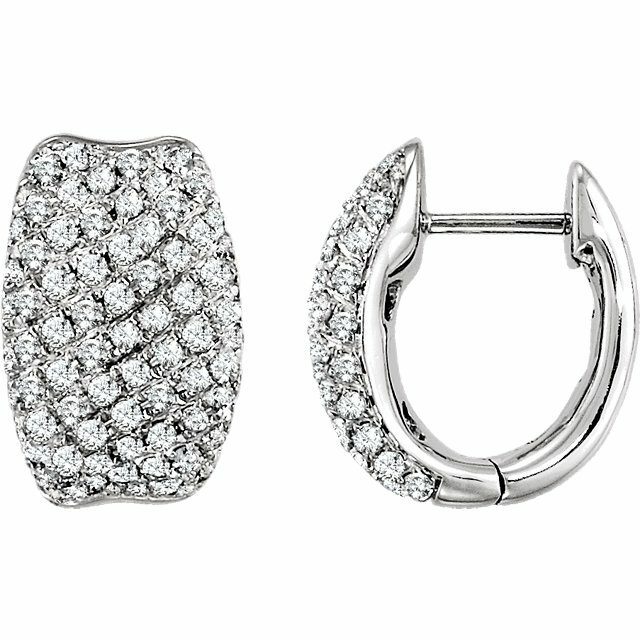 These 1 Carat Pave Hinged Diamond Hoop Earrings are simply gorgeous. Set in 14K Gold with 1 carat worth of sparkly I1, GH color diamonds, these will definitely be seen from across the room. Hoop earrings are definitely in style, so get your pair today. If this isn’t the style you want, contact us with your idea. Contact me for other metal options and please specify which color of Gold you are ordering if buying the base set. Click HERE to see another Diamond Hoop Earrings design.